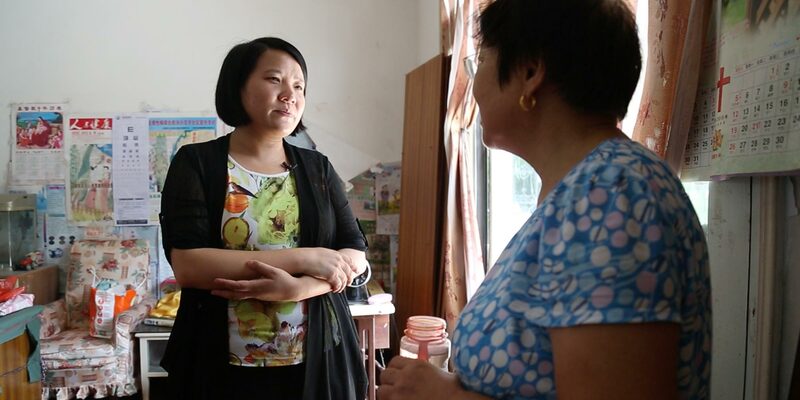 Having grown up in a rural community, female party secretary Chen Xiaobo wants to help solve the problems her family once faced. 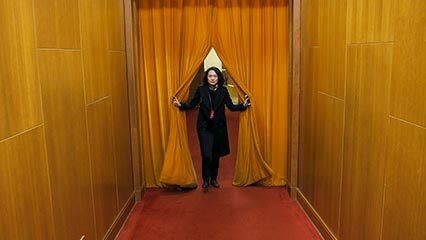 This is the fourth in a five-part series about women in Chinese politics. You can find parts one, two, and three here. Dressed simply in a black sweater and beige pants, 30-year-old Chen Xiaobo doesn’t look as bubbly as many of her peers. She says she purposefully dresses like a middle-aged woman for the sake of convenience. Chen is one of the youngest female village party secretaries on Chongming Island, a formerly desolate but now rapidly developing expanse of land, connected to the rest of Shanghai by bridge and tunnel. Originally from eastern China’s Jiangsu province, which borders Shanghai, the village leader graduated from Shanghai Normal University in 2009 with a degree in psychology and enrolled in a government scheme to train village officials. Two years later, she passed her civil service exam and was promoted to village deputy party secretary. Chen is responsible for managing everything from conflicts among neighbors to bigger issues such as land-transfer deals and strategic plans for the future of the community. 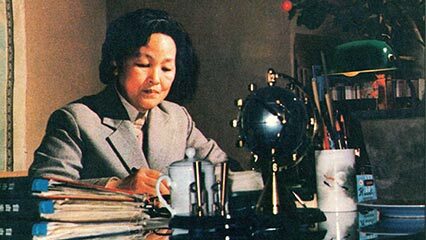 From her office in the heart of Xiexi Village, which has a population of 1,500 people, the married official talks to Sixth Tone about her work. The interview has been edited for brevity and clarity. Sixth Tone: What role does gender play in your line of work? 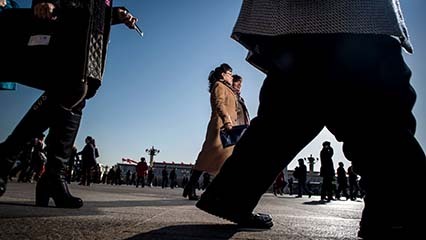 Chen Xiaobo: As a civil servant, being a woman is — to a certain extent — a disadvantage. The vast majority of village heads in this district are men. Higher-ranking officials tend to trust men more. They doubt women have the courage, determination, or ability to implement order, to get the job done. Sixth Tone: What other challenges do you face in the job? Chen Xiaobo: Local villagers are mostly older people in their 60s or 70s. They tend to lack confidence or trust in young officials, let alone young female officials, and first impressions are hard to change. So I always dress as if I were a middle-aged woman, which helps a bit. Also, I’m not so good at drinking alcohol. Before the “eight-point rule” was issued in 2012 to cut bureaucratic spending on unnecessary business dinners, I missed out on many opportunities to get things done through networking. It’s my rule that I don’t drink wine. Fortunately, since the regulations took effect, this is no longer a problem. Sixth Tone: What drew you into this career? Chen Xiaobo: At university, I was the leader of the students’ union for my department. After graduating, I took the civil service exam but failed. Then, quite by accident, I found out about a program to bring more university graduates to the rural parts of the country to help with village development. The program asked university graduates to serve three-year terms as village officials, and afterward, they could decide to stay and pass the exam or leave and get preferential treatment at a state-owned company. At the time, I actually didn’t have high hopes for my application. I come from a rural background, so working in a rural village is an exciting job for me. Everything looks so familiar, and I enjoy the sense of achievement when I help villagers solve problems. Higher-ranking officials tend to trust men more. They doubt women have the courage, determination, or ability to implement order, to get the job done. Sixth Tone: Are there any benefits to being a woman in local politics? Chen Xiaobo: Last year, when more than 10 villagers refused to cooperate in a rural land-transfer project, they cornered me in my office. I remember clearly that one of them said to me, “If you were a man, I would hit you without hesitation.” Fortunately, because I’m a woman, I’m not good at fighting either physically or verbally, so all they could do was listen patiently to my explanations. It took seven months to resolve the issue. Village affairs might seem trivial, but sometimes it’s a big headache to sort them out. I couldn’t sleep properly during those months. Sixth Tone: How do you manage both your family life and work? Chen Xiaobo: Women have to make sacrifices for their families. After we enter into a marriage, we definitely need to devote more time and energy to our family than our husbands do, especially when the children are young. My husband is also a civil servant and regularly has to work overtime, so I need to spend more time at home with our son. Sixth Tone: What are your plans for the future? Chen Xiaobo: The town leadership team is being reshuffled, and close friends of mine have encouraged me to form closer relationships with my bosses in local government to help get myself a promotion. Many people aim high in the civil servants’ system, and I understand that having a higher ranking means you have more power and access to a larger pool of government resources, which makes it easier to get things done. This would be very convenient for my work, but personally, I’m happy with my job and life the way they are at the moment. I’m content.